The steep canyon walls and ridge forming layers of Valles Marineris are on display in this THEMIS picture. 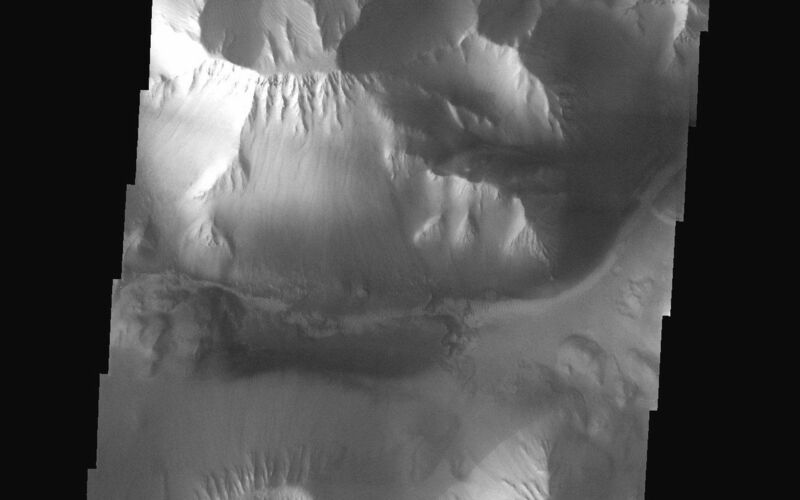 Landslides and gullies observed throughout the image are evidence to the continued mass wasting of the martian surface. Upon close examination of the canyon floor, small ripples that are likely migrating sand dunes are seen on the surface. 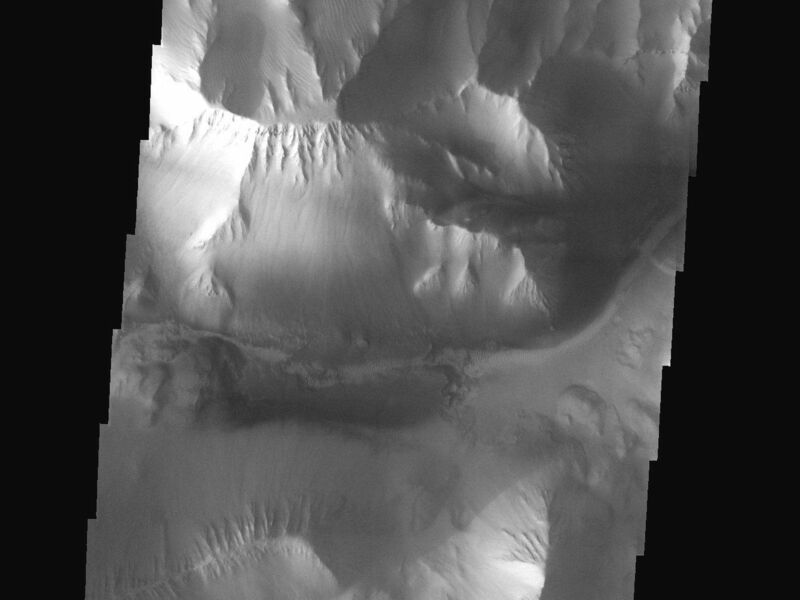 Some slopes also display an interesting raked-like appearance that may be due to a combination of aeolian and gully forming processes. Image information: VIS instrument. Latitude -7.4, Longitude 274.2 East (85.8 West). 19 meter/pixel resolution.